Luciana Diniz and Fit For Fun took the 2015 Championship tonight after winning the final Longines Global Champions Tour Grand Prix of the season in sensational style. The incredible sporting action went right down to the wire in Doha, Qatar, and the top three contenders had fans on the edge of their seats until the final moment of the final round. Jan Tops, Longines Global Champions Tour Founder and President: ” As trainer of the Qatari squad, they have had a fantastic season, especially this year – 5th in the overall, today double clear – to beat all these people is very difficult, but at least they are in the game, they are getting good experience, they are riding with more confidence and I am very proud with the way they have developed the last few years. 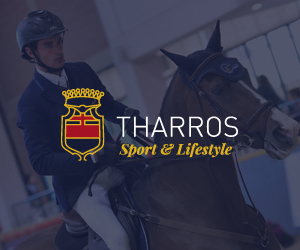 The aim was to qualify for the Olympics, achieve good results in the Longines Global Champions Tour – that’s what they have achieved. “10 years ago we started with 6 events, this year we’ve done 15 events, with 2 new events in Miami and Rome. We have very much established our events this year. The quality is much higher, we have a great team of people, our followers on television, the live-streaming is tremendous – it has been growing these past years and if you see what we have achieved in the last 10 years I think it is amazing. We are not tennis, golf or Formula 1 just yet, but the gap is not what it used to be. We have constant development for this year and our sport has a big future. Scott Brash, 2015 Longines Global Champions Tour Silver Medallist: “I had a silly fence in the first round, coming out of the double. 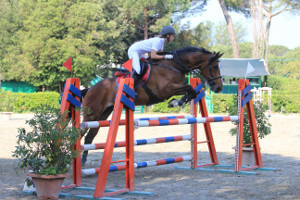 Ok, this is showjumping so we know it can happen. So I started the second round thinking that I had to be the fastest of the four faulters to have any chance so I went as fast as I could and it’s the reason I had a fence down. But Sanctos has been wonderful all year. Luciana Diniz, 2015 Longines Global Champions Tour Gold Medallist: “I was in a winning mood spirit today and riding Fit For ‘Love’ makes my life easier. It’s true, if you ride with love and you believe in what you do it makes your life easier. 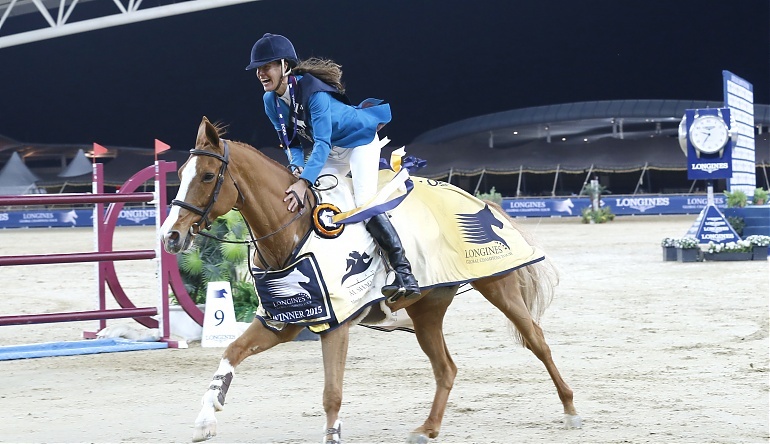 So this success to be here, I am not alone in that – I have to thank all of you as well, the Longines Global Champions Tour, all the supporters, Doha, AL SHAQAB. 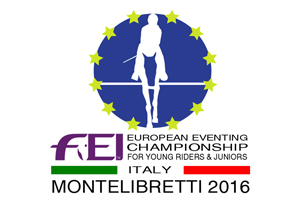 And now my team, my fantastic horses, Fit for ‘Love’, Winningmood who has been in great shape this year. I love this name by the way! I think we have arrived with a different story in our sport, with a new image as well for the sport – I’m not saying it’s going to be like tennis one day but I think we’re respectable now, people are looking for us with a different spirit now and I’m very happy to be here today. These two boys were gentlemen today and let the lady be first so I’m very happy with that.